On Friday, President Donald Trump turned back the clock on the Obama Administration’s policy of engagement with Cuba, making it more difficult for ordinary American citizens to visit. This article is designed to clarify how these changes affect boaters, to the degree possible at this early stage. From the outset, it must be pointed out that broad policy announcements toward Cuba never consider the boating angle initially. Our little world is always an afterthought. The complete effects will only become clear after White House staffers and agency rulemakers have fine-tuned Trump’s broad policy announcements. In a worst case, for example, U.S. boats could be banned from going to Cuba altogether, even though the administration has not said so thus far. Such a ban could be accomplished under the President’s authority to issue executive orders. George W. Bush enacted just such a ban in 2004. His administration first mandated that any U.S. vessel traveling to Cuba obtain a Commerce Department export permit, then the agencies involved were instructed to deny any and all applications for export permits from boaters wishing to visit Cuba. Following Trump’s speech, the Commerce Department posted the following on its website: “Aircraft and vessels departing the United States on temporary sojourn to Cuba will remain eligible for a license exception. Passengers must have appropriate authorization from OFAC.” That applies to airlines and cruise ships, but recreational vessels? All this by way of saying that what follows assumes no total ban on boat traffic. By March 2016, the requirement for group people-to-people travel was dropped, and individuals could then visit Cuba and self-certify that they would follow the requirements. About eight of the 24 boats committed to our rally promptly dropped out because they could now go without the expense of being in a group. Trump’s recalibration of the Cuba regs reinstates the requirement that people-to-people travel happen under the auspices of a group. This applies to U.S. recreational boats—again, assuming there is no ban. The good news—again, assuming—is that regattas to Cuba and sportfishing tournaments in Cuba will continue to be permitted. This is because these fall under a different exception to the travel ban. Regattas and tournaments fall under the category of international competition. Another Trump change will forbid U.S. citizens from spending money with entities belonging to the Cuban military, which reportedly includes 60 percent of the island nation’s tourism infrastructure. That means that Americans would be forbidden from staying at hotels operated by subsidiaries of the military. 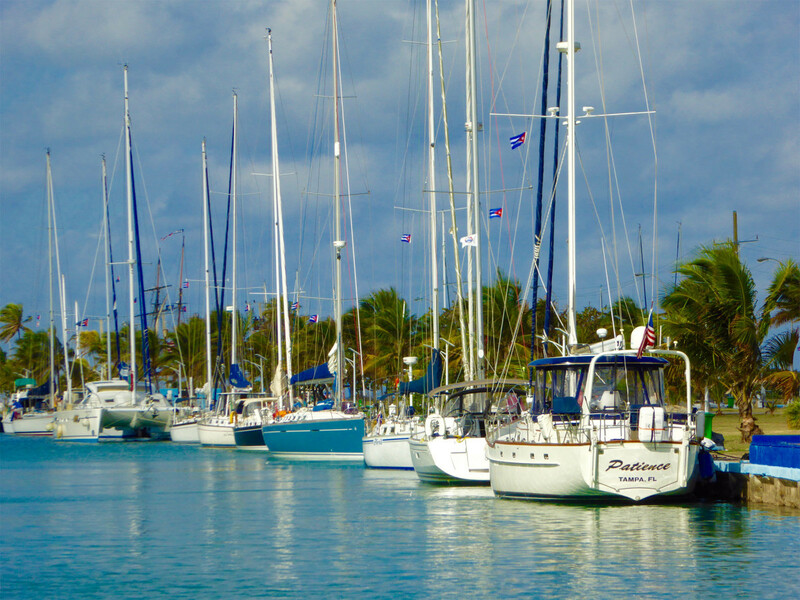 It stands to reason, then, that American boats will be prohibited from docking at Marina Gaviota in Varadero. 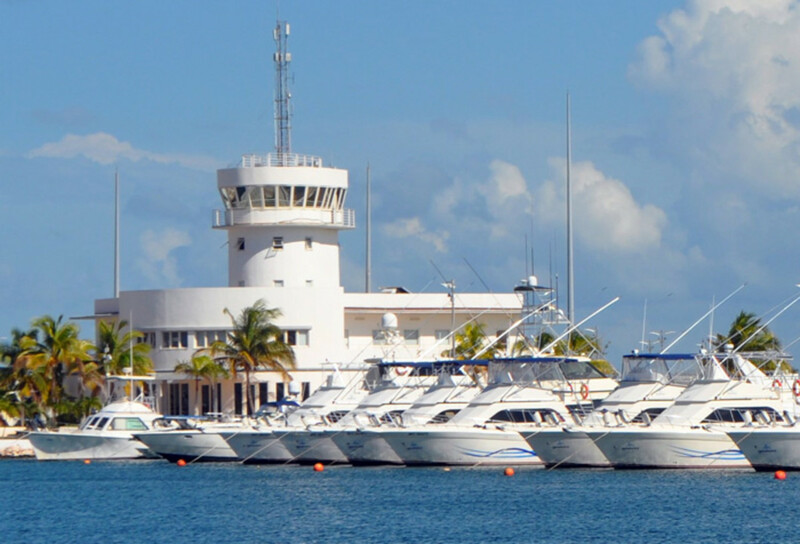 Marina Gaviota, operated by a military subsidiary, is the crown jewel of Cuban marine infrastructure, having opened a few years ago with more than 1,200 berths on state-of-the-art floating concrete docks. Marina Hemingway at Havana, with 260 slips, presumably will not be affected. Hemingway is operated under Cuba’s Ministry of Tourism, not the military. This is not only bad news for boaters visiting Cuba going forward but for some who have already gone since the Obama changes took effect. That’s because there is a five-year enforcement “look back” period. As someone who has run a boating rally to Cuba, I have seen other rallies and certainly numerous individuals that failed to live up to the stringent requirements for a legal people-to-people program. Almost nobody thought Trump (or Ted Cruz or Marco Rubio) would become president, and many did not take these regulations seriously. Treasury Department officials in charge of enforcement have told me that they expect people-to-people travelers to live up to a “full time schedule” of educational activities every day that they are in Cuba. There is a little wiggle room, but these officials define full-time as eight hours a day, which I have argued works well enough with hotel guests, but not for people on their own boats who have tasks to perform. The rules say that people-to-people travelers must keep records of their Cuba visit for five years. So in theory Treasury enforcers could audit folks who have already taken their boats to Cuba under the Obama rules. Those who cannot offer sufficient “affirmative evidence” of compliance face fines, and in some egregious cases, jail time. OFAC is the division of the Treasury Department that enforces the travel ban. As it stands, OFAC does not have the resources to audit thousands of U.S. travelers to Cuba. The question is: Will those resources be forthcoming? Meanwhile, expect more specifics from Commerce and Treasury departments within 60 days.